Home » MakeBadger's templates shop » Funny card for children’s animators. OBC-06. Funny business card template for children’s animation service. The pink background and balloons! Really well-made cards can even get shared with other people and become a free form of marketing as well. With MakeBadge’s suite of expertly-designed templates, you’ll be able to find a design to fit your needs and by using the MakeBadge design editor, you can easily personalize your business card. Take a look at this online visiting card template! Feel free to use it for your creative artwork. 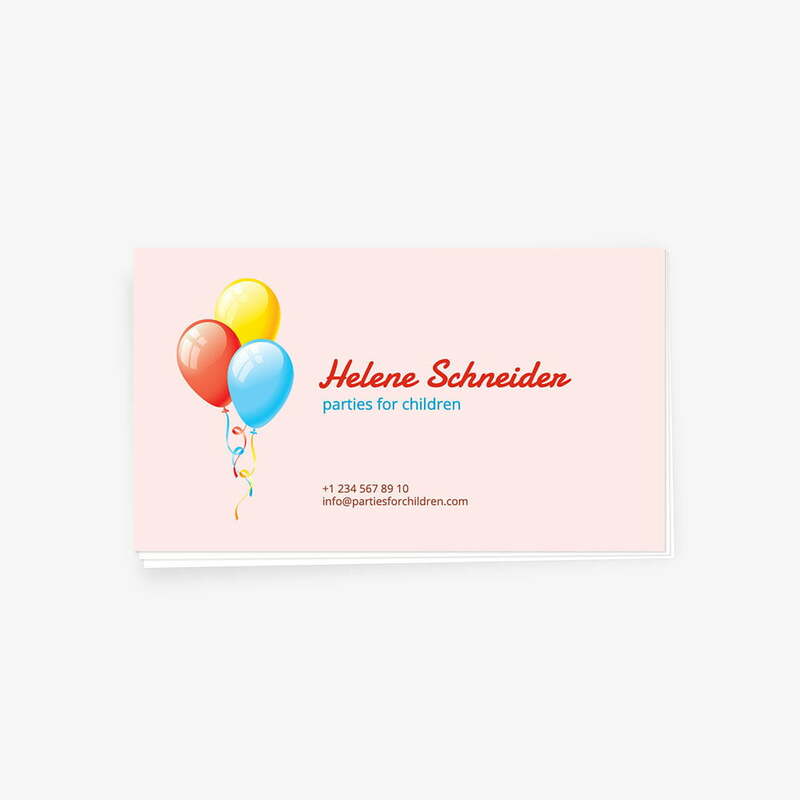 The funny pink background, colorful balloons and hand-picked fonts make this card ideal for children’s events or professional animator. After editing you can print your artwork using your printer or save it for further print in a local print shop.